May 7, 2018—In the spring of 2017, 12,146 individuals with hypothyroidism responded to an online survey posted on a variety of websites and social media for two months by the Program Committee of the Satellite Symposium on Hypothyroidism, organized by the American Thyroid Association (ATA). The ATA Hypothyroidism Treatment Survey asked responders to answer questions about demographic data, their satisfaction with treatments and their physicians, their perceptions of the physicians’ knowledge about hypothyroidism treatments, the need for new treatments, and the impact of hypothyroidism on their lives, among others. ATA guidelines do not recommend routine use of either combination therapy or DTE, relying instead on monotherapy with levothyroxine. For full details of the survey and its results, refer to Clinical Thyroidology for the Public, vol. 11, issue 4, April 2018, pp. 3–5. 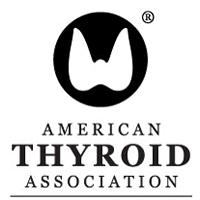 The ATA promotes thyroid awareness and information online through Clinical Thyroidology® for the Public and extensive, authoritative explanations of thyroid disease and thyroid cancer in both English and Spanish. The ATA website serves as the clinical resource for patients and the public who look for reliable information on the Internet. Every fifth year, the American Thyroid Association joins with the Latin American Thyroid Society, the European Thyroid Association, and the Asia and Oceania Thyroid Association to cosponsor the International Thyroid Congress.